With its high-modulus construction, the S-Works FACT carbon Tarmac seatpost provides impeccable power transfer, while still allowing for ample compliance for long days in the saddle. Featuring our Rider-First Engineered™ design that ensures every frame size has the same legendary climbing responsiveness and descending prowess you'd expect from a Tarmac. The S-Works FACT 12r frameset is our highest quality carbon frame, offering the ideal blend of light overall weight and targeted stiffness. 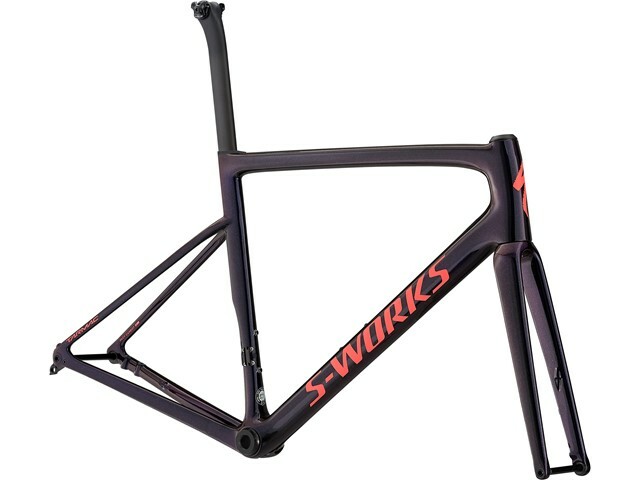 S-Works full FACT carbon fork with a tapered construction provides incredible front end stiffness and steering response for instantaneous accelerations and high-speed descents.